Photography Night Sky will give you the tips and techniques you need to take stunning photographs in the dark. You’ll learn how to overcome the unique issues that confront nighttime photographers and capture images of which you’ll be proud. Co-author Jennifer Wu, an elite Canon “Explorer of Light” professional photographer, has become renowned for her ability to capture nighttime phenomena, from quarter-phase moon rises to shooting stars to the ephemeral Milky Way. This new guide reveals her methods and concentrates on photographing principal subjects: Stars as Points of Light, Milky Way, Star Trails, The Moon, Twilight and Celestial Phenomena. These subjects share common photo techniques and considerations, but each also requires a distinct approach. Once captured, your digital images must be finished on the computer. Using Adobe Photoshop and Lightroom, Jennifer delves into the settings and procedures that elevate an image from mundane to striking. This clear and practical guide will help photographers of advanced beginning and intermediate levels. It is for photographers looking to expand their skills into night photography using a modern DSLR camera. It does not cover astro photography or using a tracking devise and assumes that the photographer know the basics of manual settings including f-stops and shutter speeds. 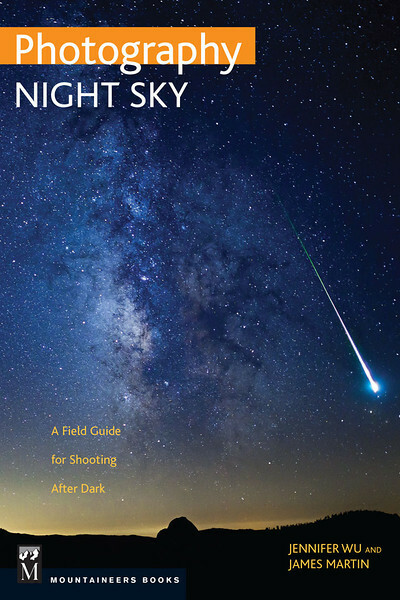 This book guides photographers to portray the stunning spectacle of the night sky, preserving those special memories and moments from a life outdoors.